Age statements are of some importance to Dewar’s. The blended whisky giant has made a major change to their core lineup. 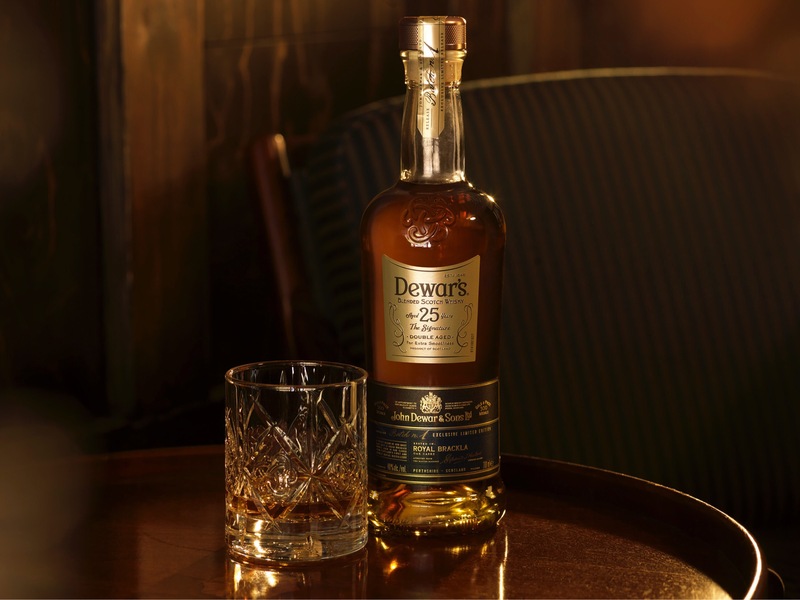 Replacing their non-age statement luxury blend Dewar’s Signature is a new 25-year-old expression. This comes at a time when many major brands are consistently removing age statements. Dewar’s 25 is finished in freshly-dumped casks that were used to age Royal Brackla, a malt found in Dewar’s. At 40% abv, Dewar’s 25-year-old doesn’t have as robust a nose as I’d like, but what’s offered is nice. There’s some fruitiness on display in the form of spiced apple and pear. A bit of toffee, vanilla and leather become more apparent with a little airtime. The palate is similar to the nose in many ways. Initial waves of honey and vanilla cake are met with crisp red apple and brown pear, sweet malt, lemon peel and oak spice. Hints of leather and oak show up mid-palate and continue into the finish, where sweet toffee and spice regain their traction. Where this whisky slightly disappoints is its thin mouthfeel. I know that Dewar’s is appealing to the mass market by bottling the whisky at 40% abv. After all, the majority of blended Scotch whisky is bottled at 40%. I think that a very slight increase to 43% would have improved this whisky exponentially while still maintaining the smoothness generally associated with Dewar’s. Thanks to Dewar’s for the sample. As always, all thoughts and opinions are my own.